Leave your children to enjoy shooting down the waterslides whilst you stretch out comfortably on the sunloungers. The aquatic area at the Château la Forêt campsite makes the perfect spot to unwind, with plenty of fun and laughter for all the family. 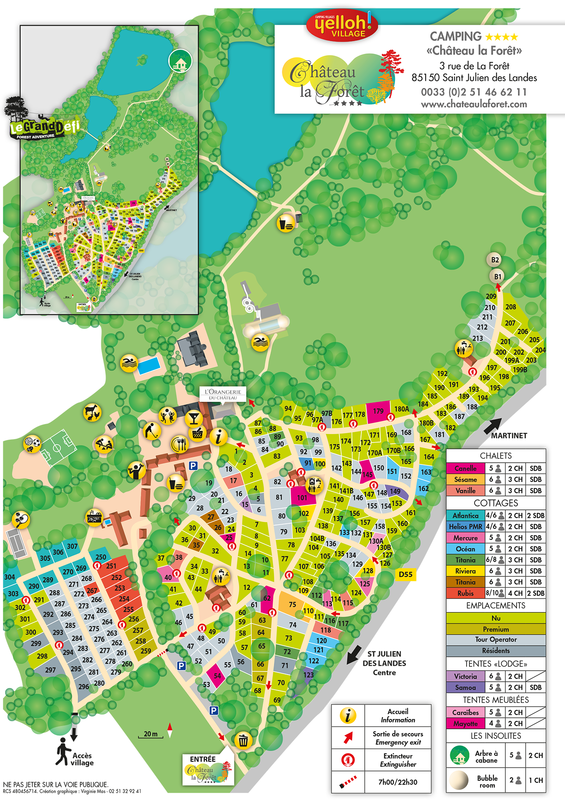 Open every day from 9am to 8pm, come and relax with your toes in the water and only one thing on your mind: making the most of every minute of your holiday here at the camping Yelloh Village Château la Forêt. Access to the outdoor pool is guaranteed from 01/06 to 31/08, outside of this period its opening will be weather-dependent. Our swimming pools are reserved for campsite customers only, children remain under their parents’ supervision and responsibility at all times.